How many of us take the time to be grateful for what we have? Mostly we look for material pleasures we need, but fail to look at our lives and be grateful for what we have, because we do not value it. We go through life always thinking about what we don’t have and this makes us unhappy. Rather, we must be grateful for what we have, be it the smallest things, and this will make us happy by acknowledging the relations, time, love and so many other things that we neglect in our daily endeavor to live our lives! Benedictine monk, Br. David Steindl-Rast, suggests that two qualities belong in our basic definition of gratitude. The first is appreciation: You recognize that something is valuable to you, which has nothing to do with its monetary worth. The second quality Br. David mentions is that gratitude is gratis: freely given to you. By being grateful, we realize that we have been blessed with the power to appreciate the beauty in our lives. 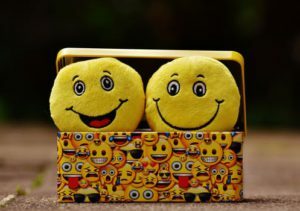 Gratitude improves psychological health: Being grateful reduces the range of toxic emotions, from envy and hatred to frustration and regret. Robert Emmons, a leading gratitude researcher, has conducted multiple studies on the link between gratitude and well-being. His research confirms that gratitude effectively increases happiness and reduces depression. other people and experience less body pains and aches, according to a study done. Gratitude enhances relationships: Saying a simple “thank you” not only constitutes good manners, but showing appreciation can help you in your relationships at home and work. So whether you thank your spouse for cooking your meal or send a thank-you note to that colleague who helped you with a project, acknowledging other people’s contributions can lead to new opportunities. Grateful people sleep better: Keep a Gratitide Journal and spend 15 minutes writing a few grateful sentiments before bed, and you may sleep better and longer. 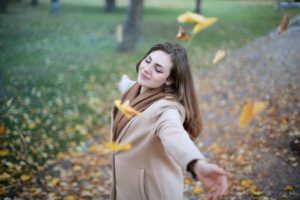 Gratitude improves self-esteem: By being grateful, we start appreciating the little things around us and we are not envious or resentful about others who probably have a lot more than us, thus improving our self-esteem. Cultivating gratitude is a choice that we need to make everyday as we take the small joys for granted and we forget to be thankful for those moments that make us happy. Consciously practicing gratitude defines a more positive outlook towards life. Maintain a Gratitude Journal: Begin the morning by journaling the things that you are grateful for. It could be simply that you are grateful to open your eyes today and enjoy a new day, watch the beautiful colors of the sky! It could be difficult initially finding those things ro moments that we are grateful for but it will come with practice as there are so many things taken for granted that the less fortunate people cherish. Find atleast 5 things or moments you are grateful for. Continue doing this every morning or night and feel the difference. Get inspired: Think of someone who you are grateful for having in your life, as an inspiration in some way. Think of the quality you appreciate in that person and inspire yourself to be like him or her. Remember: All through the different stages of our lives, there have been people who have stood by us and done kind deeds. Go back into memory and remember them. They could be your parents, your siblings, your relatives, your friends, your colleagues or just some stranger who has helped you in some way or the other. Remember them and be grateful for having them. Pay it forward: There are times, when you would like to repay someone who has done good for you. But there is nothing that you could do to match his/her kindness. In this case, pay it forward. Do a good deed for someone else without expecting anything in return. That’s the beauty of giving. Just do a random act of kindness possibly every day and be rest assured that you will get it back in bountiful – peace of mind, sound sleep, good health etc. Practice gratitude with family: In today’s time, it is very difficult to have the complete family on the table at the same time for dinner. If this is possible, have each member of the family share one incident for which they are grateful today. This will help to cultivate the feeling of gratitude in children from a young age. There are many other ways as well. Feel free to share your experiences in your comments. Practicing gratitude really helps to keep a positive attitude and see and feel all of the magic around you. I hope my content on cultivating gratitude encourages you to create your own ways of celebrating the magical moments that you would generally miss running through the daily chores of your life. Hey Rudolph, I can’t say enough about gratitude. I practice it everyday. I love helping people and always feel good when I pay it forward. Not a day goes by that any of us shouldn’t be grateful for being healthy and happy. It’s amazing how much better things go when you are positive and grateful. Life is too short to not be grateful for everything and everyday! Fantastic article. We as a society have been lost in this forever search of happiness. Your article is spot on. Having gratitude for the things in your life today is what helps bring the happiness in your life. Thank you for this great post. This is a wonderfully uplifting article. You are so right, we waste too much time wishing for things we don’t have instead of being grateful for what we do have. I used to keep a gratitude journal and don’t remember why I stopped, but I will be starting it again after reading this. Thanks to you for reminding us what is important in life. Glad I came across this today. I have been feeling extremely grateful lately. It’s funny how the Universe works sometimes. You always get back what you put out there. There is a science to this. Thanks for sharing. Thanks for visiting my post and for your kind words. Lot of people should read this article. Run into lot of people where they dont have the right attitude or the gratitude. Thanks Amila. It’s true there are a lot of people who long for material pleasures, which is fair. But its only when you are grateful for the little things, that you feel the joy inside. Great article…I thank you for doing this. You are so right. I have been keeping a gratitude journal for years and it keeps me on point. I even encourage my 11-yr old daughter to tell me what she is grateful for each time before she closes her eyes for bed. It is great. Get the word out there…it is great to be thankful…anytime and for anything. Hi Rudolph, many thanks for an inspiring article. Yes, focusing on what we do have and being grateful for these things is so important. Not a day goes by when do not look outside and feel blessed because of the beauty that I see all around me. Your tips for creating gratitude in our daily lives are great. This is a great article on cultivating gratitude. It is indeed very important for any individual to practice gratitude in everyday life. I like the fact that you mention that practicing gratitude requires a positive attitude. This is very true. Life can be much easier and happier if everyone is grateful for what they have. Thank you for reminding me of this great practice. Hey Rudolph! This post seemed to me like something I was looking for quite some time now. And frankly, the answer to your question whether I took time to be grateful, I can hardly boast either, as you said, we are supposed to be more grateful for the things that we already have. I loved your post. Beautifully written, yet accurate and thorough. Looking forward to come back to your site! Thanks for the reminder that gratitude is so beneficial to physical and mental health. I truly feel better around people who are generally thankful than the opposite. Just the energy around them is lighter and it’s easier to laugh, relax and just be livelier. It gets you in a better frame of mind to whatever issues are still hanging around. I love the positivity on this article! This is surely a very inspirational one for me. I am always blessed and have gratitude for things I have daily but with stress and other factors, articles like yours definitely keep me inline on being motivated and positive! Thanks! Thank you for the reminder! It’s easy to get caught up in the day-to-day mundaneness of life and to forget to actually see what there is around us. My favorite way to be grateful is by taking a walk or run outside. I’m always amazed by how abundant nature is. I try to remember to be grateful inside my house too. I mean, I HAVE a house! Someone thought of how to make a house!! I do stop to think about all the things we have around us and how someone out there had the ability to figure out how to create, manufacture and market those things so that we can enjoy our lives more. Wow. Thanks for this well-written article and reminder. We take our happiness for granted and stop appreciating what we have because we don’t feel we have enough…always want more. It’s the scarcity mindset that makes us fail and lose the greatest things we have including our physical and psychological health, spiritual well-being and family. I’m glad I came across this post today. Sometimes I get so caught up in working towards my future goals that I forget to be grateful for that which I already have! I do try to practice gratitude but, as you say we can kind of get caught up in a ‘material world’ sometimes can’t we?! What an amazing article and so timely! Last winter, I was really hating where I lived. All I could think about what how annoying everything was…the size of the rooms, where the windows were place, parking…everything bothered me. Then I spent the summer helping my mom downsize so that she could move. All the clutter that we threw away. All the multiple things my mom had. I was determined to declutter my own home. And what happened? Now I like my home! All I needed to do was to see it differently. I am now grateful for what I used to despise. All of your different ways to cultivate gratitude are super helpful, and my favorite is keeping a gratitude journal. Thank you for this inspiring post! Irma, thanks for visiting and for your lovely feedback. Inspires me to write and share more of my experiences. I agree 100%! In order to receive first you must give. Very nice article plenty of content on the subject. I had an idea and I’m just “spit balling” here and I’m not sure if its even available but some sort of charity affiliate would be great for this page. Actually I just looked and it is a thing, just type in charity affiliate into google all kinds of stuff comes up. I live my life my the golden rule and don’t believe in regret. I think regret makes you unhappy. This is a great post because I think many people do wish for what they don’t have and do not practice being grateful for what they do have. I am grateful everyday for my health, family, my job and everything that I have. Thank you, Rudolph, for this inspiring post. Everyone needs to read this. I have always tried to be thankful for what I have instead of grumbling about what I don’t have. I am so thankful, and grateful, for a wonderful husband, beautiful children and grandchildren. We all have our health, which is a blessing beyond anything material. Great post, Rudolph, very Gratifying to read and true. Being thankful for what we have no matter how big or small it is will help us appreciate life more. Being grateful nothing is better than that for good well-being. This goes right along with being thankful. Rudolph, just reading the article calmed my spirit. Last night I got mad about something I was told, reading this now is calming, because I am now focussing on all the other things I am grateful for and it makes a world of difference. Thank you for the reminder, and I am certainly grateful for having access to this website. Be blessed Rudolph. Thanks Josephine for your kind words. I am glad and grateful, reading my article helped you. I love this idea! I am personally working to show/say more things reflecting gratitude on a daily basis. I think a gratitude journal is a great way to do this, and will really add a positive spin to the start of your day. I will go get one for myself soon! Hey. I really love this article! Gratitude is very important, most people take to much for granted and don’t stop and appreciate the beauty they already have! I often do a gratitude meditation session and It’s amazing the benefits I get from it. Awesome article with so much truth poured into it. I definitely find that when I intentionally practice gratitude, everything in life is improved. I love that you talk about thinking of the people in your life who inspire you, why you are thankful for them, and then mold yourself to become like them. That is a wonderful way to not only practice gratitude, but to truly think about what motivates you to better yourself, and then take action to do it! Yes, grateful people sleep better and they can make a relationship with no hardship. Your article is not only a mental booster but also a gratitude arsenal that is pragmatic. Everyone must read this and apply it so that we make a planet full of grateful people who are willing to appreciate and help each other. Gratitude is a gratis, let’s pass on. All the best of luck. Thanks for emphasizing on the efficacy of being grateful in life, Rudolph! I guessed the spirit of being ungrateful is killing seriously as it wouldn’t allow one to concentrate on the incoming progress. It wouldn’t give room for fearless progress at all and will damage a lot of good things. I’ve also noticed that a lot of people don’t show gratitude for what they have but rather get anxious about the things they don’t have yet, thus, preventing them from progressing fearlessly. Thanks a lot for this useful posts! Thanks Israel for stopping by and your feedback. I have personally experienced being grateful relieves you of all the anxiety that you would normally have in order to achieve something that is a need of the moment and we forgot it as soon we achieve it! I practise gratitude and encourage all to do the same as it keeps me grounded with humility and peace. Gratitude is very important in everyday life. Most of us go about complaining about what we don’t have. We forget that there is so much to be grateful for. I would try keeping a journal of things I am grateful for. I am a religious person and thank God daily for the good things and people I encounter every day, but I think it makes a whole lot of sense to have them documented. Gratitude certainly improves the quality of life and makes one less grumpy. 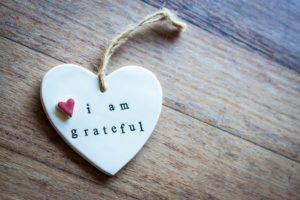 I am so grateful that I stumbled up on your post about cultivating an attitude of gratitude this morning. Now that we are five days into 2019, I found that I have been focused on what I need to be doing. I have also been focused on trying to get over a case of the flu. In the process, I have forgotten to be thankful for the many things that I am blessed with. Starting tonight before bed, I want to take 15 minutes; as you suggested, to reflect on the good things in my life and that happened that day. I can see how focusing on the things that I am grateful for should improve my sleep rather than focusing on my to-do list for the next day. I can prioritize my to do list first thing in the morning. Thank you for these tips. Dear Sondra, thanks for your kind words. Being grateful at all times puts mind at ease and you will get good sleep. I totally agree. Being consciously aware of what we have to be grateful for makes us recognise the beauty in our lives. 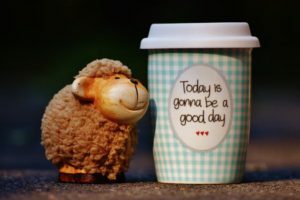 And cultivating gratitude, making the daily choice not to take for granted the little joys we experience really does lead to a more positive, happier life. Your article has a beautiful message and a pleasure to come across as I surf the net. This is an awesome post. After reading this post I just don’t know where the happiness is coming from. This has really changed my life . Thanks for sharing this informative and educative post on important of being grateful. I will strongly share this for my friends so they can learn and be happy because this is a world where many are unhappy because they are ungrateful. good article on gratitude. the world needs more people like you. I have been brought to be grateful for everything even the smallest things but nowadays ppl just expect things to be given to them. I try to teach/show my kids the meaning gratitude but because of their peers its hard to get the belief of entitlement out of them! gratitude comes from habit and people need to start small like – food, clothes, job, family, friends, freedom! and work their way up! Thank you for this wonderful article about Gratitude. I really enjoy reading this article till the end. In our everyday life, there are so many things that we take for granted for. We should feel grateful for what we are having now and feel happy to be able to help others. I like the Gratitude Journal. I think this is a good way to cultivate our gratitude and the feeling of happiness. Thank you for sharing with us this wonderful topic” gratitude”.Many people can’t realise the happiness brought by the word gratitude. When someone does something to me I can’t be at ease if I don’t say to them how grateful I am. It is very important to develop the attitude of gratitude in our daily life. Thanks Julienne for your time. I really like it where you mentioned that you can’t be at ease and convey your gratitude to the person who does something good for you. Goodness exists in each of us. Its only through circumstances we learn to be grateful for what we have.